Recent weeks and months have seen a new type of phone plan come to the fore. Increasingly, phone companies are offering and people are buying, mobile broadband plans with data allocations of 25GB-30 GB or more. Some plans have inclusions of 75GB per month. This is a significant change in the way people are buying their data. In this article we examine the good and the bad bits of this type of plan, who is buying them and consider what it means to normal Australians. What are these huge mobile broadband plans all about ? These new huge mobile broadband data plans, offer allowances which are usually an order of magnitude more than you’d get in a standard monthly phone plan. Go to our data plans page now and you will see 4G data bundles in sizes between 25GB and 75GB for very affordable prices. They’re almost unimaginably large quantities of data at those price points. But they’re selling well. Why? Because the way the telcos are pricing these products is creating new demand and encouraging people to move away from some older, typically fixed line, products. Don’t underestimate the importance of this change. These mobile data allowances are so large they turn big screens like laptops and tablets in to mobile internet connected devices at affordable prices. Here’s why that’s a big deal. The key benefit of these huge mobile broadband plans, is that they allow mobile data users to use mobile data on a big screen. The data allocation is so big that you can afford to watch video on your laptop or tablet and / or use it for proper, heavy business work. It’s basically a fixed line broadband data data size, with the benefits of mobility. With these plans, you can have a tablet on the bus and watch streamed programming. You can be a student renter in a shared house and manage your own mobile data allowance. They enable you to take your laptop out and about in the real world – where colleagues send you very large file attachments and you need to watch a YouTube video of a competitor product launch. In essence, the product, data, is the same as what’s been in market for the last 10 years. We’ve had these ‘data only’ plans for a while. However, previously, data bundles typically had an allocation of between 3GB and 15 GB a month and cost Between $10 and $30 for that period. Many people used these facilities in tablets and dongles. But it was for the tech head, the early adopter. It wasn’t a mainstream product. If you think back to the early days of the internet, everything was all fixed and dial up. Early web services were simple and text based. Your experience of the internet might have been an email or access to a chat room. Images in web pages were rare, very early on and when you did see them, they were of low quality. Then came home broadband. It’s been with us 20 years in various forms, Cable, ADSL and so on. Through their fixed broadband connection, people got used to having an immediately available access at home and paying a fixed fee for it. Digital images went High Definition and YouTube streamed us video to our desktop computers. We knew what it would cost and we knew the cost would be affordable. Mobile has always been different. Even from the VERY early days of the mobile internet, BlackBerry, you paid a premium for the mobility aspect of the email service you bought. And that was 10 years after fixed broadband landed. 3G (faster mobile data) came to Australia in 2007 which meant you could download some good quality images and maybe, if you were brave and rich, a video. 4G brought fast video to mobile but it’s still something of a rarity to see anyone but the most cutting edge nerd or high powered business man using a laptop connected to 4G or streaming a TV show. Who uses / needs Huge Data ? Who would use a Mobile Broadband Plan with this sort of huge data allocation ? Setting up a fixed data connection (home broadband) is a time consuming business. You have to call the telco, arrange to be in while a technician comes around. Often it will take a couple of goes to get technician and renter to the property at the same time. All this costs money (as well as your time). You experience this as a ‘set up’ cost on your first months bill. Connection or set up typically costs in the region of $100. With mobile broadband, there’s none of that. You get your SIM, insert it in to your device (be that a laptop, tablet or dongle) and you’re off. There’s no connection charge, no inconvenience and, best of all, when you move, you don’t even have to tell anyone. Few people rely on YouTube more than a family with young children. These huge broadband plans mean you can keep the kids entertained in the back of the car (subject to coverage) as you travel around. Students also need access to the internet for their studies and tend to move between properties every year. They also don’t want to sign longer term fixed broadband agreements if they can help it. Pricing for these huge bundles is now so low, especially when it’s considered as a business expense, that business men can legitimately afford to be out and about, working on their laptop if their job requires it. Who has released new data bundles ? Recently, the number of phone companies offering these huge broadband plans has changed. Kogan Mobile use the Vodafone 4G network and offer an increasingly sophisticated and successful range of plans. It was only in March ’17 that they upgraded their plans’ data inclusions and in late June, they joined the slew of telcos providing their customers this new type of broadband plan. OVO mobile were early to the big data broadband party but not first. They followed Optus’ Mobile Broadband 70GB bundle release, used the same network, offered some valuable extra service elements and led on prepaid pricing. Moose are also new and have smelt the blood in the water on this new service type. They offer postpaid plans which some find more convenient than prepaid. Yomojo are the partner we recommend for ‘best in class’ data allocations. They too have these new bundle sizes available in their range of data plans. It’s really Optus’ wholesale pricing which has changed. Three out of the four main players we’ve identified above use the Optus mobile network. Optus don’t want to miss out and have their own version of these sizable bundles. We suspect many more telcos will follow soon. There has been so much activity in this area recently that telco marketing directors will be asking questions of their product teams if plans of this sort are not being worked on. How do these plans work ? The mechanism to get access to these sizable data connections is the same as it’s always been. Buy a SIM and insert it. There are two primary ways of accessing data. Many tablets are shipped these days with both a WiFi and cellular connection facility. 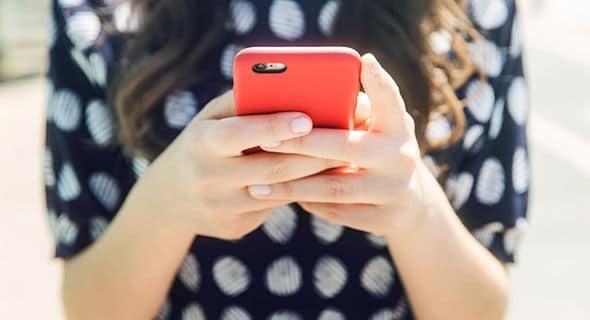 On tablets with a cellular (mobile data) connection, you’ll find a SIM tray in to which you can put a SIM enabled with one of these huge data bundle mobile broadband plans. Also called ‘dongles’ by some, these tiny hardware components usually cost in the region of $30. Generally favored by businessmen and laptop users dongles add a wireless cellular data connection to a laptop without the built in facility. What do you need to look for when you’re buying one of these plans ? These plans are hard to misunderstand. They have a price, a network they run on and a data allowance. It’s worth keeping half an eye on the following. Is really fast data, 3G is OK. There’s a lot technical gubbins behind all this. 4G, for example, is something over 10 mbps. 3G is about a third of that. If it’s in any doubt, you’re going to be subject to some of the same constraints that you’ve seen on your phone for some time. If there are a lot of people on your cell, it’ll slow. Remember, this is the same wireless network you’re using. Keep an eye on the duration you’re given. With prepaid, it’s usually 28 days. Postpaid run month to month. Less importantly, some of these SIMs come with voice services included, some don’t. The distinction might seem trivial but in rare use cases – like someone who wants a huge data allocation for their phone, it can be useful. Plans with voice tend to get ‘PAYG’ rates. These new fixed replacement mobile broadband plans are significant. There are a number of factors combining with the new data pricing we’re seeing here. They could literally, potentially, restructure a lot of what we do when it comes to fixed telco services and entertainment. Microsoft are building more of these in to their laptops every day. Consistent announcements in the industry show that Microsoft, together with silicon chip manufacturers Qualcom and Intel are pushing data bundles built I to laptops hard. People are replacing free to air TV consumption with Netflix, Stan and other ‘On Demand’ streamed entertainment services. These mobile data packs are nearly large enough to enable you to watch TV on your laptop when you’re on the move. Changing in wholesale pricing levels. From the telco point of view they want to sweat the asset now they have all this extra capacity. Why is that number – another order of magnitude data increase – so important ? Because it’s what we get in 2 and a half years with the launch of 5G. Mobile data is now so cheap, it’s encroaching on what were previously fixed line services. It won’t be long, surely, before we get the elusive ‘unlimited’ connections like some of the more innovative telcos in the USA are offering now. We’ve seen an order of magnitude change here. One more of those – even a doubling of the data included in these plans would make them an effective fixed broadband family plan. We’re not all the way there yet but getting these huge bundles in the 30- 70 GB level and $50 – $70 a month is the most significant step towards mobile data replacing fixed home connections – ever. We are months away, in my view, from a mobile future which includes everything you’ve ever wanted. Unfortunately, we, as a country just spent billions on the NBN.Is it really so unlikely that the NBN will be a stillborn White Elephant when a more affordable, more flexible, more tailored and just as fast mobile version of it is for sale on the same website, under a different tab?